Plan for the future by letting me help you create an advanced health care directive in Statesville. An advanced health care directive, otherwise known as a living will, is a document intended to specify what should be done for a person’s health in the event that they can no longer make decisions for themselves. These documents are created as part of the estate planning process, and it is recommended that they should be included in everyone’s estate plan. 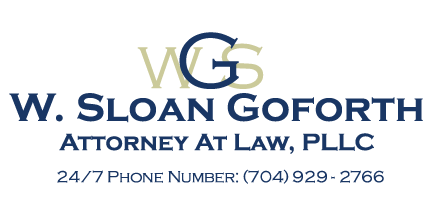 Protect your wishes and ensure important healthcare decisions are made by someone you trust by letting me, W. Sloan Goforth, Attorney at Law, help you create an advanced health care directive. As a well-reputed attorney in the Statesville, North Carolina area, I have helped many people create advanced health care directives as part of the estate planning process. I would be more than happy to put my experience to good use for you and answer any questions you might have about these important legal documents. It is my goal to help you feel fully informed and confident in my abilities as we work on your estate plan together. Just like your will, I urge you to put together an official advanced health care directive as soon as possible. Since you never know what the future holds, it is always better to be prepared than to run the risk of your wishes remaining unheard in the event that you are affected by a serious illness or injury. Please contact my office today for more information about estate planning and to set up your initial consultation. I look forward to hearing from you and to helping you plan for the future!